Many thanks to Faith and all at Hypnotic World. The structure of learning the modules was ideal to fit into my hectic life. I attended various workshops put on by Hypnotic World and I've considered them to be a must in my training. I'm really excited to be able to help future clients with their problems. As a keen surfer the peace and happiness I find in surfing I'm sure I will find in Hypnotherapy. Waves of positive energy to you all. I've really enjoyed studying with Hypnotic World. It's been great to work at my own pace with no pressure for deadlines, so it fits around any lifestyle. I found the modules really interesting and received quick and helpful feedback from Faith when I sent them in. The Facebook page has been a great support too. The modules took me a little longer each time as I started to do wider reading, practising on family and friends, and watching a lot of You Tube videos! I've learnt so much and come so far and best of all now feel I'm ready to help others and I can't wait to start on my hypnotherapy path! Thanks to Hypnotic World for giving me the knowledge and confidence to realise my dream of helping others and working for myself. I thought the course was extremely well set, and paced throughout the modules. I enjoyed working at my own pace alongside my job. The fact there were no deadlines was great for me again with working full time. I love the idea of paying per module, I think that'll really benefit any future learner. I found the Facebook group really useful and made some good friends, that I know I can lean on for reassurance if I am not sure. Faith was fantastic at marking and always got back to us in no time and was always there to ask advice. I would love to do another course through Hypnotic World if it were to arise one day. I'd be the first to sign up. I actually miss receiving the modules through the post!! If you're thinking of doing it but are unsure I urge you to go for it!! I wanted to study hypnosis decades ago when I was nursing but my location made this difficult so I gave up on the idea. I had recently reached a cross roads in my life and revisited the idea of studying hypnosis. I was so happy to discover Hypnotic World not just because of studying remotely in my own time but the fact that it is affordable and the support is outstanding. I am excited to have passed and look forward to taking the next steps to start practising and helping people again. In the meantime I highly recommend the course and workshops to anyone considering learning hypnosis. I thoroughly enjoyed this course. It was nice to be able to complete each module in my own time and not be pressurised by deadlines. I am so glad that I chose Hypnotic World to train with and would 100% recommend it to anyone thinking of training to become a hypnotherapist. A very interesting course which I thoroughly enjoyed studying. Thank you for all the information and advice. Thanks to you all at Hypnotic World, I now look forward to my new career as a happy successful hypnotherapist. Thank you again. I am a Holistic and Beauty Therapist and have been practising for over 15 years. I have my own business in Swindon offering a wide range of therapies. I also have a Teacher's degree having taught in local colleges and now I offer CPD training to qualified therapists. I have always had a keen interest in hypnotherapy and have experienced its huge benefits. I was lucky to discover Hypnotic World where I was able to use my passion to study part time around my busy business. I am looking forward to offering Hypnotherapy within my practice to help clients improve their wellbeing. I studied hypnosis in the 90's after attending a few stage hypnosis events but never formalised my training. My wife, who is a Hypnotherapist and Reiki Master, suggested I formalise my training by obtaining a Diploma in Hypnotherapy. I am so glad that I chose Hypnotic World to study with. The breadth of topics covered and the detail in which they are covered by the course was a pleasant surprise, and although I found it challenging, I found the effort required so rewarding. I would recommend this course to anyone serious about becoming a hypnotherapist. I have to say I cannot fault the Hypnotic World experience. Faith and all the staff are very helpful and the resources are amazing. I will continue to be an Hypnotic World member and advise all new students to do the same. Hypnotherapy has changed my life so thank you Hypnotic World. I've been interested in hypnosis for many years, but never been in a position to act upon it, I recently found the Hypnotic World online course, that gave me the opinion to learn at home, in my own time around my family and work commitments, realising my passion for hypnosis. The course was easy to follow and the support of my tutor was excellent during and after each module. 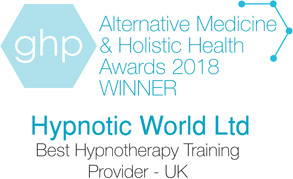 Thanks to Hypnotic World I have been able to gain the skills I need to become a confident hypnotherapist and I look forward to starting my new journey, knowing I can return to Hypnotic World for support; if needed, is a real comfort and great extra support when taking the first steps into a whole new business. I'd highly recommend the course to anyone who is thinking about starting a career in hypnosis or even someone who would just like to learn a new skill. I am so happy with the achievement accomplished and I am looking forward to starting my new vocation, and career in Hypnotherapy. I have really enjoyed the course and it has opened my eyes and mind to so much more. The course material was very informative and interesting and I could not wait to start another module after completing one. Thank for all your feedback through the months and look forward to seeing you when participating in the forthcoming workshops. I would like to say thank you for all your quick responses.I have found the course very informative and would recommend the course to anyone. I have loved every minute of studying. A supportive personal tutor and excellent course materials have enabled me to succeed. My journey with Hypnotic World has been truly enlightening. The course has fulfilled all my expectations and completed the missing part of my Psychology therapy work. The learning has been truly inspiring and enjoyable, and the support is always there when you need it. I have learnt so much from working through the coursework, using both the workbooks provided and external reading material. Achieving the qualification has given me the confidence to deliver hypnotherapy in addition to my stress and relaxation sessions. Thank you so much for all your support. I found the course materials very interesting and easy to read, and my tutor very helpful, professional, friendly and responded to any questions I had very quickly. I also had to take a break for a few months but had no problem picking up where I left off. Excellent course would recommend it to anyone. I found the course really interesting and challenging but with the support I received manageable. Thoroughly enjoyed it and look forward to a new adventure practising hypnotherapy. This was a dream come true. As a Yoga Therapist and Naturopathic Nutritionist I had a missing part in my healing work, and Hypnotherapy was it. I am so pleased to have done this course which was rich in content and I learnt so very much on this training. It was convenient too as I work many weekends and have children so this was something I was able to do in my own time. Thank you so very much Hypnotic World and Faith as a very knowledgeable tutor! Thank you for your support and positive feedback at the end of each module. I found the whole course to be well written, easy to follow and empowering. I found the content to be enough to whet the appetite and encourage me to look at the module topics in greater depth. As for doing an on-line course and receiving the modules in post it worked a treat, a very smooth learning process that simply goes at YOUR PACE. Hypnotherapy has brought a greater knowledge to how us humans work and will aid also my other therapies to a higher level that professional vibe that also guides the inner me. My journey with Hypnotic World has been nothing less than magical. Since the very first time I spoke to Faith I knew this is the right organisation for me to complete my diploma. Nothing compares to the help and support I have received. The end of module tests were marked super fast so that I could proceed to studying the next module without delay. The course content is so clear and easy to comprehend and remember. This diploma is the best accomplishment for me yet and it would not have been possible without Hypnotic World and Faith to back me up. I highly recommend this organisation. Thank You Faith. Would like to thank you again. I would like to say that I found the course interesting, and certainly full of information on topics covered. I also liked the idea of the feedback which was of great help. Would certainly recommend to anyone. The course is extremely well written. The content of each module build knowledge and understanding in a well-structured manner that is very well complimented by reading the recommended works alongside the modules. Having had an interest in hypnosis over the last few years, news of my redundancy from my former commercial role liberated me to pursue my passions. Having the option to train and gain a qualification in a field that I have such an interest in led me to Hypnotic World. The structure of the course allowed me to work at my own pace and in my own time, whilst still employed pending redundancy. Other courses have a structure that is spread over scheduled sessions. As someone who learns at an accelerated pace, the student paced structure of Hypnotic World meant that I could progress as fast as I wished. To my delight, Faith Waude was my mentor. Faith's feedback and assessment marking was lighting fast in returning feedback and approvals - seemingly working all hours of the day. I happily recommend the course to anyone who wishes to qualify as a hypnotherapist, especially if they have the need to fit their training around other commitments. Like the client centred approach the therapy that the course promotes, the course is also student centred. This course is all about the student! The content of the study with Hypnotic World is very well explained and easy to master, I recommend it to anyone who is interested in the wonderful world of Hypnotism and Healing of the Mind. Having worked in the emergency services for over 28 years, I have always been used to helping others, more in an emergency situation other than a relaxed environment. So I decided to see what it would be like to be able to help others in a more relaxed environment. I embarked on a Hypnotherapy course online as I felt it would allow me to study at my pace and be able to fit the studies in around my somewhat busy life. Hypnotic World was by far the best laid out course I looked at online. And I did look at a few. The help and support online was extremely easy to access and follow. I would definitely recommend this course to anyone that is considering a profession in this field. I don't think any age is a barrier to starting something new. I am now in the process of setting up my own Practice and look forward to an exciting career in hypnotherapy alongside my current profession. I really enjoyed doing the Hypnotic World diploma course. The support throughout completion of the course is amazing. I really recommend Hypnotic World. The course was great for me, being able to buy one module at a time kept me focused and able to spend the time needed on each one before heading onto the next challenge. Great to get feedback all the way through I found this very valuable. I had looked at several other home study courses but I have to say I made the right choice! This course has added to my knowledge and I'm thoroughly enjoying putting it all into practice. I have enjoyed the course immensely, each module was clear, concise and written in easy to understand format. The course has been fitted in around my busy home life and demanding job, a job which I will be swapping soon to become a practising Hypnotherapist! I would not hesitate in recommending this course to anyone who is looking to gain a qualification in Hypnotherapy. If you are looking to become a hypnotherapist this course speaks for itself. Well written, covers all aspects required for you to fully understand your subject and develop your own style. A well structured, comprehensively written course that made learning thoroughly enjoyable. I was especially impressed by the level of support and encouragement from Faith and the promptness in which she responded to any queries I had. I was also fortunate enough to be able to attend one of the workshops which I found to be an invaluable experience and would recommend to anyone, not only because was it friendly, inspiring and insightful but because it really brought together in a very real sense all that I had learnt in theory. My own confidence in myself has grown immensely from doing this course and I really cannot thank Faith and the rest of the team enough. I have always had a keen interest in the workings of the mind and human nature in general. I have spent the last twenty years or so studying various alternative therapies for mind body and soul from spiritual and crystal healing to reiki. I have studied soul coding, astrology and numerology. I have done psychotherapy, CBT and hypnotherapy and have finally decided to attain official qualifications in all these areas as I am in the processes of getting together with like minded people to open an alternative therapy centre. I believe that every human being has the right to live healthily feeling at peace with themselves and the world around them and if I can help in even the smallest way I would feel extremely privileged to do so. I just want to say that I found the course most enjoyable. The modules were good bite sized chunks, looking at them all on my bookshelf now I am amazed I got through them all in such a short space of time, however that is true testimony to the way the course was written. 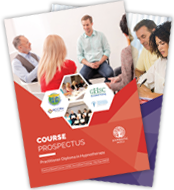 I have recommended Hypnotic World to a number of NLP colleagues who are keen to progress through the hypnotherapy route, so you may have a wee influx of Scottish students! Thank you for all the support you have shown me throughout, I am absolutely thrilled and will utilise the amazing resources on Hypnotic World for a long time to come. What a wonderful course. Informative, inspiring and stretching. The material was clearly laid out and end of module tests made sure the I understood the material academically and in practice. The course helped create a framework around existing reading and since completing the course I have been able to incorporate it into much of the work I do around the world. An excellent investment of money and time with plenty of scope to apply the learning in helping myself and others. If you are weighing up whether this course is worth it - enrol with confidence. I was very excited when I received my certificate followed by a little emptiness. Empty, because I had suddenly more time without the exercise papers and modules. Now I am learning about marketing and networking (which is a little alien to me) and I am confident that I will reach my goals. I know that receiving the certificate is only the beginning and I am looking forward to the unfolding of my path. Thank you again for all your support and encouraging comments on my exercise papers. I am proud to be a member of Hypnotic World. I found studying each module thoroughly enjoyable and being able to complete them at my own pace was absolutely perfect. The course material was extremely well written and Faith gave me such wonderful encouragement and support throughout. Having now successfully achieved my diploma through Hypnotic World, I will embark on my new career with added confidence knowing that Faith and her team will continue to provide support, whenever I need it. I moved to the Lake District 14 years ago from Surrey and over that time but have been thoroughly welcomed into the Cumbrian way of life. I began working for The County Council 10 years ago and alongside my day job became a support officer aiding fellow colleagues who were being bullied or harassed or accused of bullying or harassment in the workplace. Through the support officer role, I found a new avenue of where my interests really lay. I went to college of an evening and gained a diploma in person centred counselling. At the time of doing my diploma I became interested in hypnotherapy but was unable at the time to do anything further about it. The opportunity arose last year whereby I could fulfil this wish and after much internet searching and talking with peers I found Faith Waude at Hypnotic World. The course fitted in around me as I work full time and I could complete each module at my own pace and in a time that was right for me. Faith was immensely supportive and always quick to respond to any queries that I had, both during and after completion of the course. The course content was very thorough and I looked forward to reading of each of the modules. I was overjoyed when I passed!! I am now working with clients with varying issues from stopping smoking, trust issues, emotional past issues to weight loss and loving every minute of it. The satisfaction of being able to aid someone to overcome their issues is an amazing feeling. Thank you to Faith & all at Hypnotic World. I've been interested in hypnosis for as long as I can remember but I never thought it would be something I would be able to do myself. After a not so great experience with a local trainer, I stumbled upon Hypnotic World, and I'm so glad I did! They proved to me hypnosis is indeed something I'm able to do, and indeed excel at! The course was structured in such a way that it's easy to learn, and the modules get more and more detailed at a gradual and comfortable pace. I remember the first time someone asked me about hypnosis, when I'd finished explaining, I'd literally surprised myself with how much I'd learned! I really liked the fact I could learn at my own pace. At the time I was working 60 hour weeks, but even with that kind of schedule I was still able to enjoy my study and qualify. The resources of the website are a real bonus too, and help you gain a real depth of knowledge in the field, coupled with the support and contact with Faith when you need it, and this course gives you a real head start. And as for the lifestyle... Since qualifying, I've performed hundreds of therapies and there's no feeling like it in the world, when you've changed someone's life in such a positive way. I've met some great people and I've given talks and seminars all over the world, most recently in Dallas, Texas. It's been hard work, but incredibly satisfying, and it was Hypnotic World that started it all off for me! A HUGE thank you! In 33+ years of sales and management, last 22 years in training of businesses and staff - been on hundreds on training courses. During that time I can safely say that the layout, literature, content, ease of reading, simplicity of the explanations for understanding is excellent. Well done. The Modules are well written in an easy to understand manner, one that makes it interesting for the reader to learn from. I had been looking for a change of career for some time but didn't really know what I wanted to do. I met a hypnotherapist through a family member and hypnotherapy sounded really interesting. I then looked on the internet to see what I could find out and that was when I found the Hypnotic World site and it really grabbed my attention. What I also liked was that I could pay for each module as I learned if I wanted to, so I sent off for the first module. I was completely hooked and sent off for the rest of the coursework. The course is very well structured and what I really liked was that there was constant e-mail or phone support if it was needed and marked modules were returned promptly so that I knew how I was doing at each stage which did wonders for building my confidence. I have a particular interest in past life regression, but my "bread and butter" since I qualified 16 months ago is mostly in stopping smoking and confidence issues. 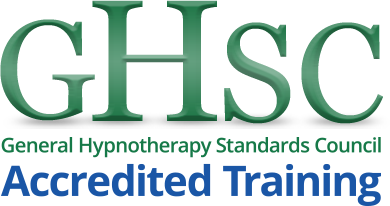 Since qualifying I have met other hypnotherapists who qualified through other organizations and I have to say I believe that the Hypnotic World course is by far the best and the best value for money. I would recommend this course to anyone who enjoys working with people and wants to make a difference. Since receiving my certificate in January I have gone from strength to strength. I was fortunate enough to become a practitioner at Avalon Natural Health Centre which is the oldest established natural health centre in Sussex (35 years) It is so rewarding and I have bookings well into the year. I already have a day job so only work evening and weekends. Although I still have much to learn I feel that I am on the right path for me. I have never not had a client re-book for a further session after the initial consultation. Hi Faith Just to let you know I have completed and sent back Module one to you. I found it really interesting. I have listened to the last track on the CD a few times in bed and it has definitely improved my sleep (a lot deeper). Really impressed with how the module was constructed and easy to follow. Looking forward to receiving the next one.